The imposition of 12 per cent goods and services tax (GST) on desiccated coconut has hit production and exports, threatening thousands of jobs in the industry , traders and exporters said. They said the “high” GST rate was a setback to the industry at a time when both the domestic demand and exports of desiccated coconut have been rising. Desiccated coconut is widely used in the making of biscuits and cookies. Until now, desiccated coconut attracted taxes between 0 per cent and 5 per cent in the southern states, where it is mainly produced. 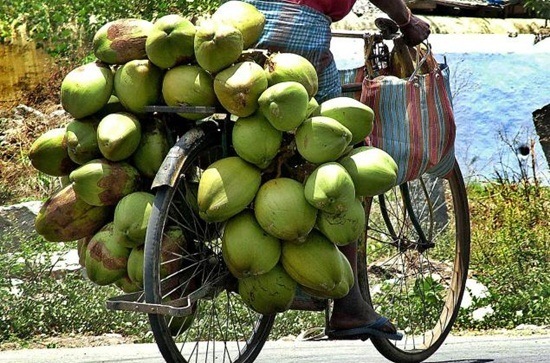 “There are around 80 desiccated coconut units in Tiptur in Karnataka (the largest cluster for the product in the country), employing thousands of people.Most of them have cut production by 30 per cent,” said Anil Porwal BSE -3.05 %, managing director at Mahavir Coconut Industries. Export demand for desiccated coconut has steadily risen over the last few years and it jumped a staggering six times to 20,000 tonnes in 2016-17. The value zoomed nearly eight times to around Rs 225 crore. “We have become price competitive with other major sellers like the Philippines Indonesia, Vietnam and Sri Lanka. As a result, the quantity exported has shown a huge increase,” said Ganesh Vittal, partner of Vittal Agro Industries in Kasargod, the largest desiccated coconut exporter in India. Exporters are worried that the high GST rate will make Indian desiccated coconut uncompetitive in the global market. “Merchant exporters like me have to buy from the mills to export,” said N Srinivas, partner at PSS Varadarajan and Sons, a major exporter. “And now, I have to pay more to mills. The local price has gone up to Rs 150 from Rs 90 per kg”. He added that the high price of Indonesian desiccated coconut had pushed up India’s exports last year. Given the increased acceptance of Indian desiccated coconut, the Coconut Development Board has set an export target of 50,000 tonnes by 2020-21.